The PF LED Profile is loaded with a 150W warm white LED, producing an output similar to a 1000W lamp. Control of the unit is facilitated via a 3 button menu and LCD display, whilst the beam angle can be manually adjusted between 25° and 37°. Eight dimmer curves are included for maximum flexibility. 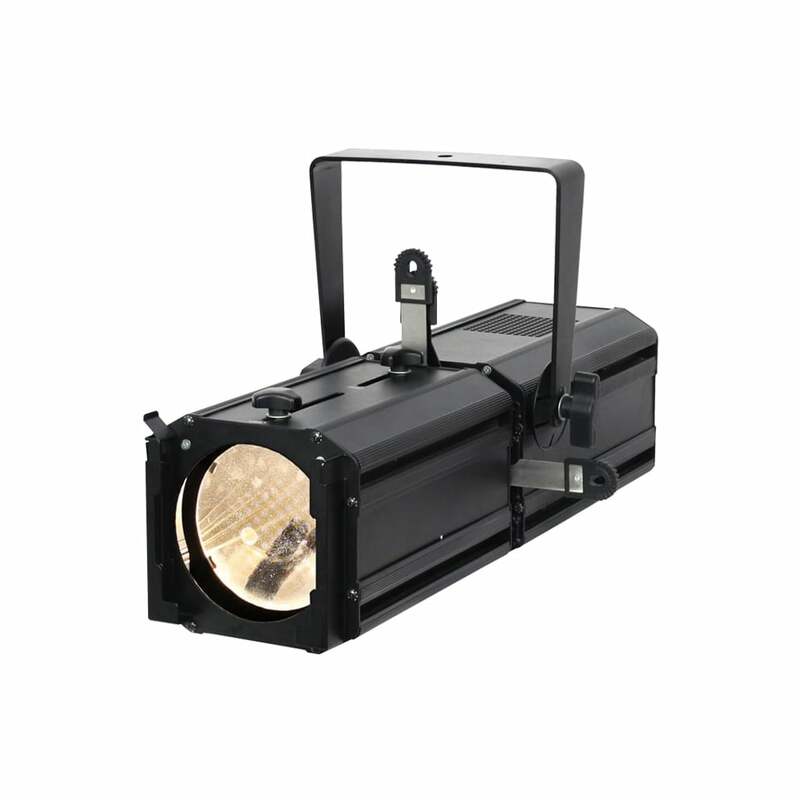 The whole fixture is enclosed in a robust chassis featuring four framing shutters, gobo slot with holder and is supplied with filter frame.